Elevator Cab smoke containment, using Integrated Doors, Total Door System. 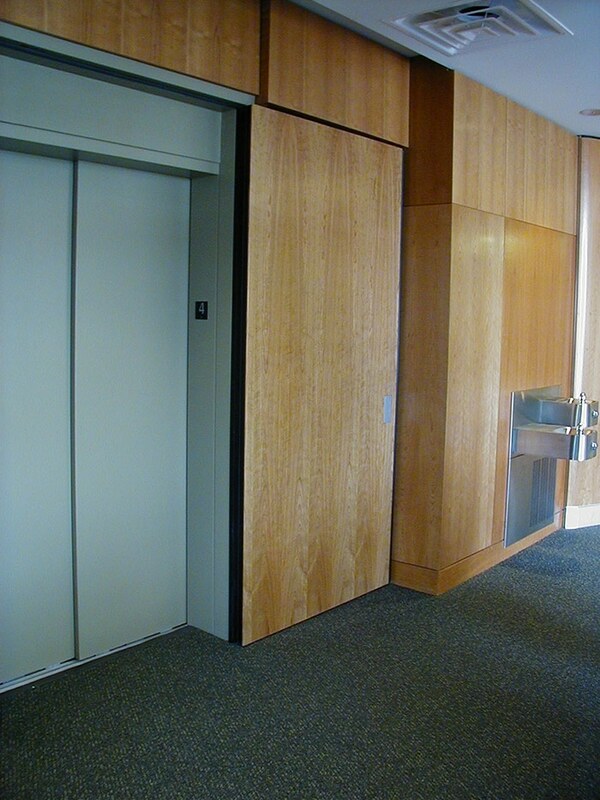 M52 recessed passage set, black full height hinge, wood veneers to match surrounding walls. 180-degree swing, closers concealed in a pocket behind the door.